Goodyear Viva 3 @ Walmart: They don't last. I was excited to try this American made (?) tire and the price point was very good. But they don’t last. 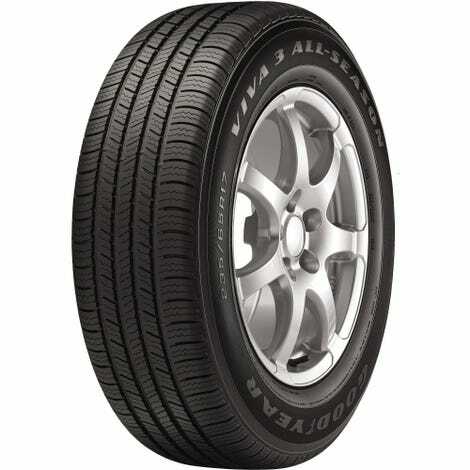 They wear quickly and the rubber dries out and cracks on the sidewalls and in the tread grooves. Less than two years and very moderate climate. Disappointing. Goodyear used to be a trustworthy brand. I don’t need superlative tires for my Safari van, just good ones. So I ordered a set of 4 Kumho Solus tires from Amazon, free delivery, and I’ll get them mounted at a local tire shop. I’ve run several sets of Solus tires and they’ve been fine.